Exercise benefits both our mind and our body. I have been a runner for 20 years, running in everything from 5Ks to marathons. I have run in races all over the world. It is common for the uninitiated to ask a simple question. Why? What is it that motivates me to get out of bed at “0-dark thirty” – as one of my running partners calls it – to put on my running shoes and propel my body? What evidence could be compelling enough to convince even the most sedentary among us to give exercise a try? 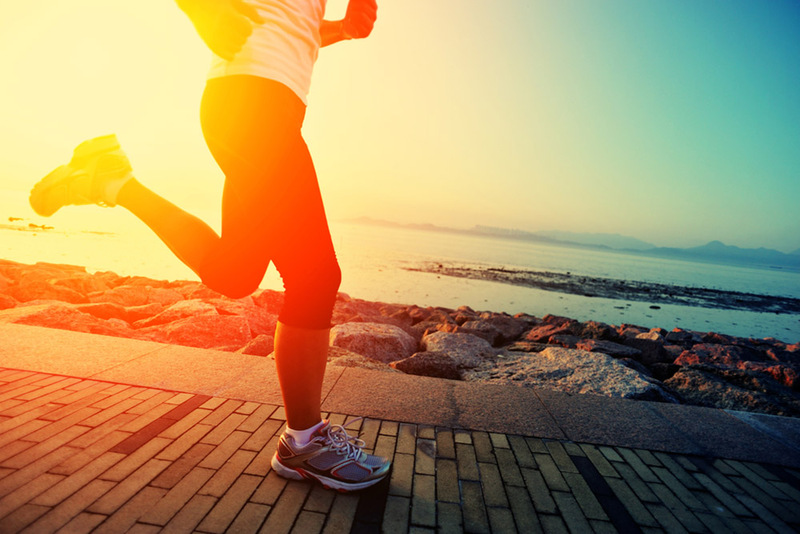 Exercise’s health benefits are well documented, particularly regarding cardiovascular health. What is less well known, however, are the cognitive benefits, especially as we age, as well as the connection exercise has to keeping depression at bay, and the evidence is compelling. The leading cause of death in the United States is heart disease, according to the Centers for Disease Control and Prevention. At more than 600,000 deaths annually, heart disease accounts for one in four deaths among Americans. In one study cited in an article published in the Journal of the American College of Cardiology, running was assessed on a medical history questionnaire by leisure-time activity. Compared with non-runners, runners had 40 percent lower adjusted risks for all-cause and 45 percent for cardiovascular mortality. In addition, the mortality benefits were similar across all variables for running (time, distance, frequency, amount and speed) compared with non-runners. Further, persistent runners showed a 50 percent lower risk of cardiovascular mortality, but people who ran as little as 51 minutes, six miles, or one to two times a week, also showed a decreased risk of mortality. Studies show that exercise has a positive effect on a condition that our health care system reflexively treats with medication: depression. There is also evidence that good cardiovascular health may help preserve memory and thinking skills into middle age, according to a study published in the April 2, 2014 edition of Neurology. In this study, the researchers studied 2,747 participants aged 18-30 and measured their cardiovascular fitness. Twenty-five years later, the participants were measured on verbal memory and psychomotor speed, which refers to functions that require coordination and dexterity, such as catching a fast ball. It turns out that better verbal memory and faster psychomotor speed at ages 43-55 years were clearly associated with better heart and lung fitness measured 25 years earlier. . However, studies show that exercise has a positive effect on a condition that our health care system reflexively treats with medication: depression. In an article published by the American Journal of Preventive Medicine on “Physical Activity and the Prevention of Depression,” the author, George Mammen, analyzed 26 years’ worth of findings on the topic. His analysis found that all levels of physical activity can ward off depression in people of all age groups. If you believe that it’s possible, nothing is impossible, not even something way outside your comfort zone. Make it social: Join a group. Many local running stores have groups ranging from training for a 5K to training for a marathon. A common goal with like-minded people is a great motivator. It also sets the stage for life-long friendships. Run for someone else: There are many races that you can run to raise money for a specific charity or cause. Pick a race, start a blog, gather momentum. It’s much easier to stick to a commitment when you have put it out on social media, and people are watching (and giving you money). Do something that scares you: This third point may be the best advice of all. If you believe that something is impossible, it is. However, if you believe that it’s possible, nothing is impossible, not even something way outside your comfort zone. Make a 30-day commitment to yourself that you will practice a new habit. Just get out the door – even if that commitment can only be five minutes. We can all spare five minutes in our day. Walk at lunch, walk your dog for an extra block or two, take your kids out to ride their bikes while you walk or run with them. Your example will set up a lifetime of good habits for them and you. Your body and mind are worth it. Tell us in the comments how it’s going! Thanks so much for sharing this. I have been walking and making significant changes to my eating habits since February of 2015. I try to walk at least 3-5 miles a day, but sometimes only get to 2 miles daily. When I first started walking, I could barely walk a mile a day. As I started walking, I gradually made improvements to my eating habits. I have lost over 35 pounds. I do find it more enjoyable to walk with my co-workers and have a close group that I walk with daily. I have even been nominated to be the leader of our walking group. My health has improved to the point of not needing high blood pressure medicine and an almost complete relief of daily stress headaches, and decrease in symptoms of anxiety I had previously experienced. I would encourage anyone who has not previously exercised to not say that you cannot do it. Just start with “baby” steps. You will be suprised at how quickly you progress. Don’t be too hard on yourself and if you slip once in a while, cut yourself some slack. And for those who are not able to run due to medical issues, how about bicycling, hiking, kayaking, swimming on a regular basis? I utilize the gym here at the office building on a regular basis and enjoy the variety in a workout each day. As I have exercised in this fashion in my early teens and 20’s, I truly know and appreciate all the benefits described above by Dr.Bieniek! My preferred exercise of late, due to joint issues, is of ‘race walking’ mode … easier on my knee/hip joints and I get to see the world at a wee bit slower pace. I like the third suggestion: “do something that scares you”. My esprit de corps was my 1st Marine Corp Half Marathon in Jacksonville, FL (2013) in race walker mode! Whatever you like to do for exercise, GO FOR IT and best of all … ENJOY IT! Hi, Dr B. I am a Beacon employee. I just had my yearly check up with my PCP. She said I am doing well for my age, well over 50 and that my cholesterol is great. I have been a cyclist for decades (once a racing road cyclist) and now I am going to start doing Duathalons (run, bike run). I am excited and am not letting my ideas of age stop me. Yes when getting up at 5:30AM, there is that initial “Ugh.” But that goes away, if we move through it. The rewards go beyond the mere physical to increased mental well-being. There is no doubt that regular exercise improves and maintains health in many ways. I’d like to suggest that equal consideration be given to strength training which can preserve muscle mass as we get older, thereby allowing us to be more functionally active. Strength training also has cardiovascular benefits when done at the right intensity, and of course can help reduce unwanted adipose tissue.